Re. who was first, I wouldn't think that there's much to debate. 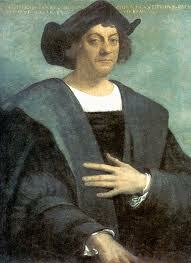 Were there people on the American continent when Columbus arrived? If so he can hardly be the person who discovered it, can he? Good point! Thanks for catching my frame of reference error. I should have made discovery "discovery". Actually, from a frame of reference perspective, the part I like best about this story is how Columbus, Spain, and the Church assumed that they could lay claim to the known inhabited land they were trying to reach. I wonder what the Chinese Emperor and the Indian princes would have had to say about that!